Are you trying to find local estate agents to the Sutherland Shire? Want to deal with an agency that has the knowledge and experience? Then get in touch with us now at Hill & Viteri Property we are located in the heart of the Sutherland Shire at 1/29 East Parade, Sutherland NSW 2232. Our staff are ready to answer your call, give us a bell on on (02) 9545-2220 or simply fill out our contact form, and we will respond to you at a more suitable time. Good Real Estate Agents, are a dime in a dozen, and finding the right agency to sell your property can be a challenge in itself. Let’s take a look at the different types of experiences our clients have been through with their previous agents, and reflect upon our approach to real estate. One of our main pets hates that we hear from new clients, is all the hidden costs they got stung with, which only affected their upside, and resulted in a lesser profit. We are transparent with all out clients from the get go, and want to make sure they are fully aware of all costs and scenarios that are and could be associated with the sale of their homes. Customers want to know what’s going with the sale of their property, and trying to reach an uncontactable agent, causes get stress and anxiety. The lack of communication amongst agencies and their clients is quite significant and we find this unacceptable. One of our 3 pillars to success in the Real Estate industry, is communication. And we firmly believe that communication is key to success in any business. The heading says it all. And it’s of no surprise at all, when customers visit us for the first time, that they only have a vague understanding of the real estate industry, or even worse an incorrect understanding. Educating customers, and providing them with the essential knowledge to be successful in the real estate game, is what we love doing. Our motto “Helping People Through Real Estate” resonates strongly with all our agents, and we pride ourselves on constantly adding value for our clients and making positive changes in their lives. Weak offers, are generally the result of poor marketing and lack of building value for your property. When our goal is to achieve the best price property for the sale of your property, rest assured we are going to work hard to get you that result. And that hard work is a combination, of communication, strong negotiations, creative marketing and educating clients on how to best add value to their property. 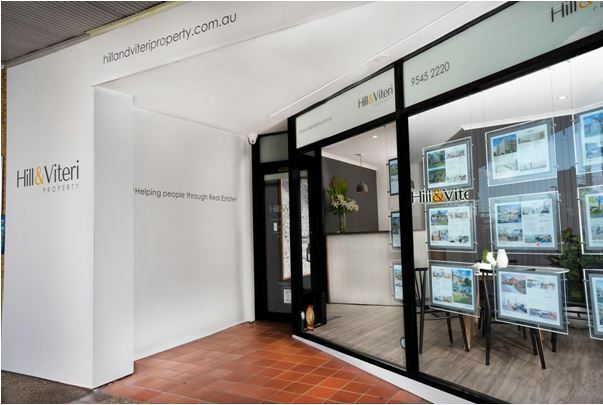 Hill & Viteri Property 1/29 East Parade, Sutherland, NSW 2232, your friendly and local Sutherland Shire real estate agents. Get in touch with us now (02) 9545-2220, or fill out our contact form, and we will reach you at a more convenient time.